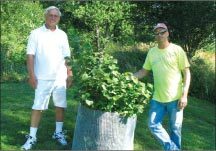 From across the country members write to share news about the progress of the hazelnuts they are growing in their gardens, acreages and farms. The 1929 visionary J. Russell Smith would be pleased with what we are hearing. His dream of lush green hillsides and stream banks protected by highly productive tree crops is becoming a reality in the form of farmland and backyard hazel orchards being planted by tens of thousands of members just like you. 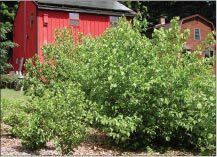 For almost nine years, members of the Hazelnut Project have shared photographs and stories of their experiences growing hybrid hazel shrubs. In response, we plan to create a helpful Frequently Asked Questions guide to encourage the exchange of best practices to find and grow the best cultivars. 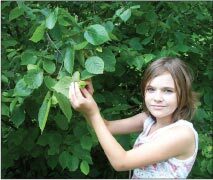 Everyone can contribute to the Frequently Asked Questions guide by carefully filling out the Annual Hazelnut Survey. Besides the information about your individual plants, we would like to learn how the hazels fit into your landscape and lifestyle. We welcome questions, of course, but we are also interested in learning how your family harvests, cracks and enjoys the nuts at home. Thoughtful answers and photographs will provide solutions to enhance the project. Our goal is to use this information to help others grow through experience and knowledge. This fall I harvested my first crop of hazelnuts. A new evening dynamic has evolved after dinner my wife and I sit with the Vise-Grips and a couple of baskets, cracking hazels and separating the shells from the nutmeat. We have spent more time being together than at any time since our courtship over 30 years ago. My wife thanks you. I thank you too. Together we look forward to finding better ways to crack all these nuts. We have all kinds of wildlife that frequent the backyard where our hazelnut bushes are planted. We enjoy watching the deer, raccoons, opossums, squirrels and chipmunks visit. Each year we harvest a crop of hazelnuts, but we would like to know how others are using the nuts. It sure would be nice if people would share some good hazelnut recipes. I would like to know how other members of the project are protecting and mulching their young seedlings to shelter the plants from the sun and wind during establishment. I look forward to receiving my next set of hazelnut shrubs this fall. I already have a place reserved on my property for acres of hybrid hazelnuts once superior cultivars have been proven. Sign up for our exclusive hazelnut newsletter for new product releases, tips, and deals.